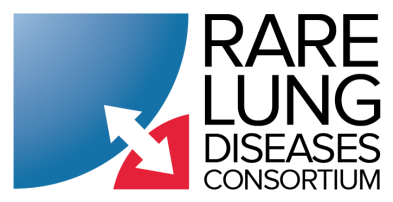 A resource offered by The LAM Foundation, the Circle of Hope Transplant Support Program connects LAM patients who are considering lung transplantation with those who have undergone the procedure, as well as experts in the field. 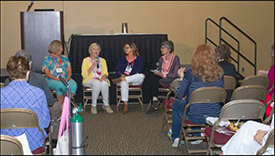 Learn about the journey of lung transplantation with members of the Circle of Hope. Dr. Tiina Urv shares updates on rare diseases research at the National Center for Advancing Translational Sciences. 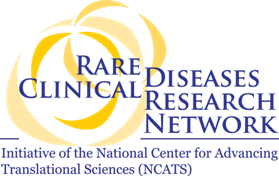 Dr. Urv is the Director of the Extramural Research Program in the NCATS Office of Rare Diseases. Dr. Jeffrey Whitsett shares big data and big science approaches to understanding and treating rare lung diseases. 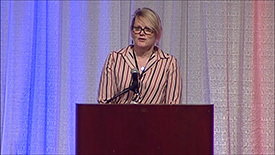 Dr. Whitsett is the Co-Director of the Perinatal Institute and Chief of Neonatology, Perinatal, and Pulmonary Biology at Cincinnati Children’s Hospital. Dr. Sian Cotton will present on the science behind chronic stress and the simple techniques that are being used in medical centers, businesses and beyond to help individuals better manage pain, anxiety and fatigue. Dr. Cotton and Stacy Sims will facilitate experiential mindfulness techniques and conduct a listening session to create LAMMIE-focused guided meditation. 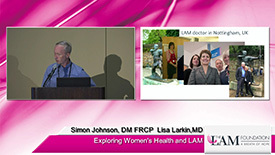 Prof. Simon Johnson and Dr. Lisa Larkin will discuss the way that LAM can affect a woman's health throughout the course of her disease. Prof. Johnson will be speaking on topics such as how breathing changes during the menstrual cycle, research on the risks and outcomes of pregnancy and how menopause changes with LAM progression. Dr. Larkin will focus on the best therapies to help women with LAM manage their sexual health, contraception and the symptoms of menopause. 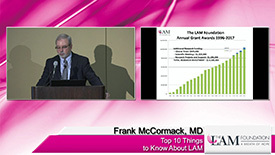 Dr. Frank McCormack shares the top 10 things you should know about LAM, including perspectives on recent scientific advances in LAM diagnosis, treatment and research, his advice for individuals living with LAM and his optimism for the future. Dr. Souheil El-Chemaly helps you understand what your PFT results mean by discussing what a pulmonary function test is, the data generated, and how test results help to measure disease progression in LAM. He also explains what your numbers mean and how you can use them to understand more about your disease. 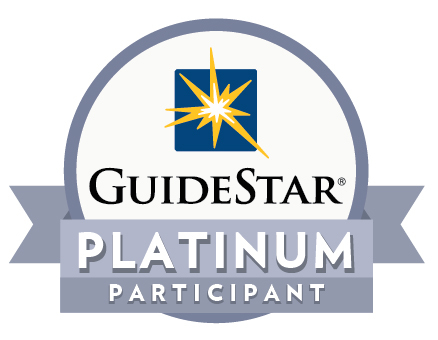 Jennifer Glass is a Genetic Counselor for the TSC Clinic at Cincinnati Children’s. 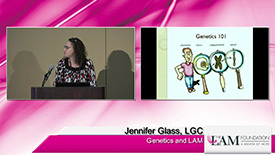 Jennifer explains the genetics of TSC & LAM, also exploring topics important to LAM & TSC families, such as genetic testing, inheritance and family planning. Dr. Dan Dilling, Medical Director of the Circle of Hope Transplant Support Program and Sharlene Dunn, Coordinator for the program, discuss what is involved in the lung transplant process. They describe resources offered by The LAM Foundation to support transplant candidates, provide advice based on their experiences, and answer questions. 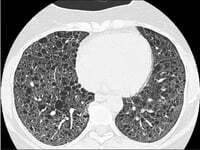 Complications of LAM can sometimes require surgical intervention. 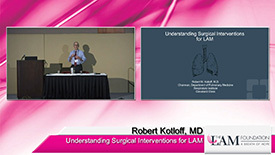 Dr. Robert Kotloff discusses common interventions for LAM patients including biopsies, pleurodesis for pneumothorax and embolization for angiomyolipomas. He covers how these procedures work and when they should be explored and how to process the pros and cons of a surgical intervention. 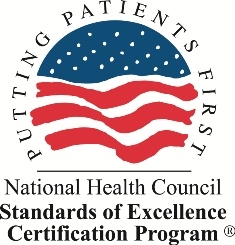 Lymphangioleiomyomatosis Evidence Based Practice video is a one hour review of the 2016 and 2017 ATS/JRS Clinical Practice Guidelines presented by experienced LAM Clinic Directors. 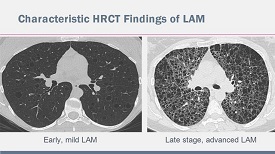 This video covers recommendations for diagnosis, treatment, and management of LAM patients. 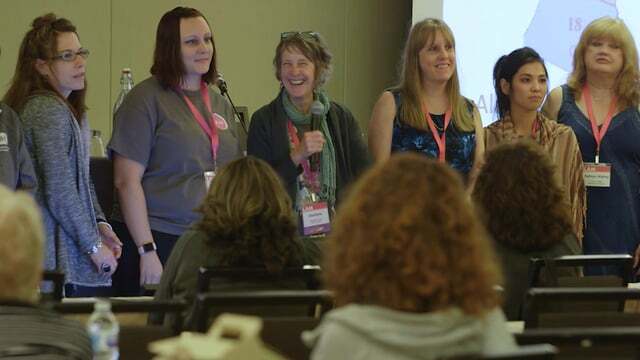 Patients, clinicians, scientists and thought-leaders come together to talk about the importance of the patient voice in finding a cure for lymphangioleiomyomatosis. 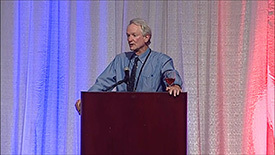 Dr. Charlie Strange will discuss the basics of LAM and provide a general overview of how it is diagnosed and managed, along with its various signs and symptoms. Medical testing to evaluate LAM will also be discussed. Some form of exercise is important for all lung disease patients EVERYDAY! We know that activity has long-lasting, positive benefits for those with LAM to feel better, improve energy levels and breathe easier. But what should be the intensity level on those days when you feel GREAT versus those days when you feel a little bad versus those days when you just feel like staying in bed? Rebecca Crouch, Cardiovascular and Pulmonary Physical Therapy Specialist, talks about everyday fitness and offer tips on how to adjust your exercise depending on how you feel any given day.